EMPRO-250 purifies almost any water from a natural water source in Finland to excellent drinking and household water with reverse osmosis without chemicals. Integrated supply pump delivers clean water to the house water network. The device can take raw water from the ocean, lake, well or other source. Device capacity is designed for demanding family use. The device provides clean water to example sauna, shower, kitchen, dishwasher and washing machine. EMPRO-250 is developed and manufactured in Finland. 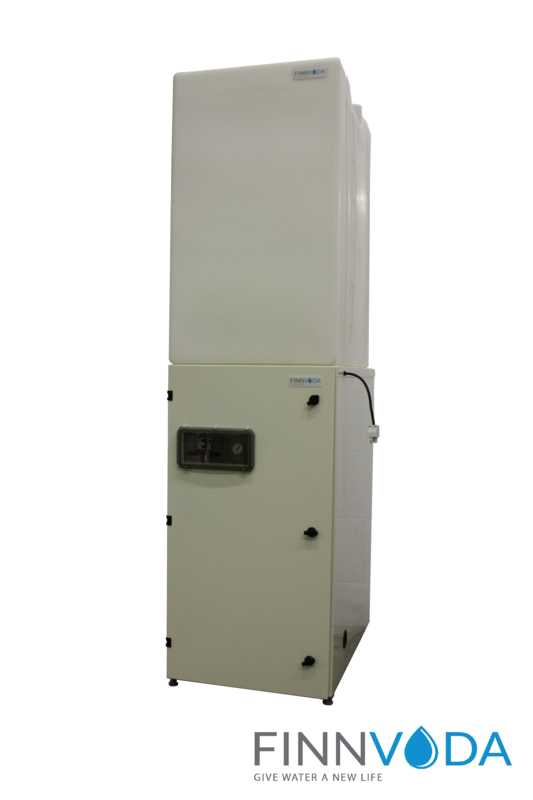 It has been developed to family house use, demanding leisure houses or other places where EMPRO-100 capacity is not enough.